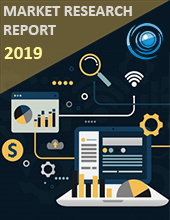 Middle East and AfricaHealthcare Information Exchange Market size is projected to reach approximately $135.90millionby the end of 2024 with a CAGR of close to 8.98% during the forecast timeline 2018-2024. The major factors that propel the growth of the Middle East and AfricaHealthcare Information Exchange Market are the technological advancements, need to exchange healthcare information for better quality service, increasing efficiency and patient safety, implementation of E-health records and increasing government incentives. However, implementation of electronic health records and rising investments in venture capital funds presents a significant opportunity for this sector. The Middle East and Africa Healthcare Information Exchange Market are segmented by setup, which is further classified in to private and public. The Private health information exchange segment contributes the most significant share of over 52.0% due to the presence of more substantial number of service providers and high-cost efficiency. By implementation model, South America healthcare information exchange market is segmented into centralised/consolidated models, decentralised/federated models and hybrid model. By type, it is further segmented into the directed exchange, query-based exchange and consumer medicated exchange, application segment is classified in to secure messaging, internal interfacing, workflow management, patient safety and web portal development and the end user is further segmented into providers, payers, and pharmacies. By Geography, the Middle East and Africa are segmented into the Middle East and Africa.